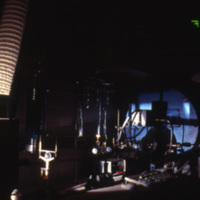 Photo of a spectographic apparatus. 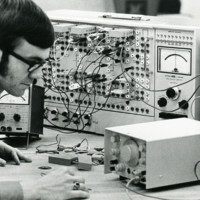 A student is working on an experiment in the engineering science laboratory. 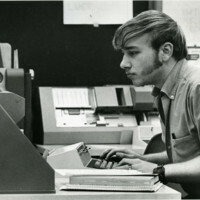 A student works in a computer laboratory during the spring of 1971. 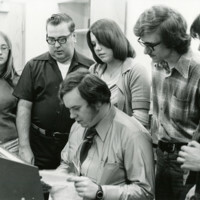 John Cashion (professor of chemistry, second from left) and his students are watching an individual demonstrate a machine in a science laboratory. 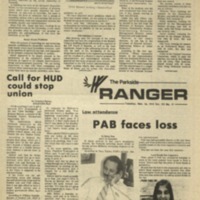 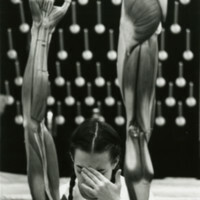 High School student at the Burlington Science Day in 1996. 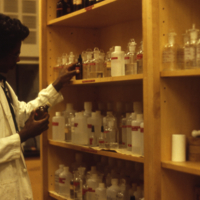 Student in a science classroom. 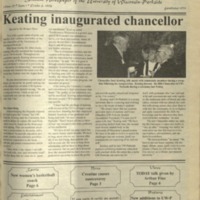 Two students dissect a frog. 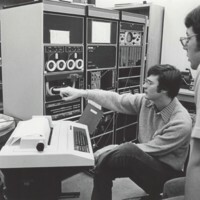 Bill Jaeger and Doug Ower work with computer hardware.